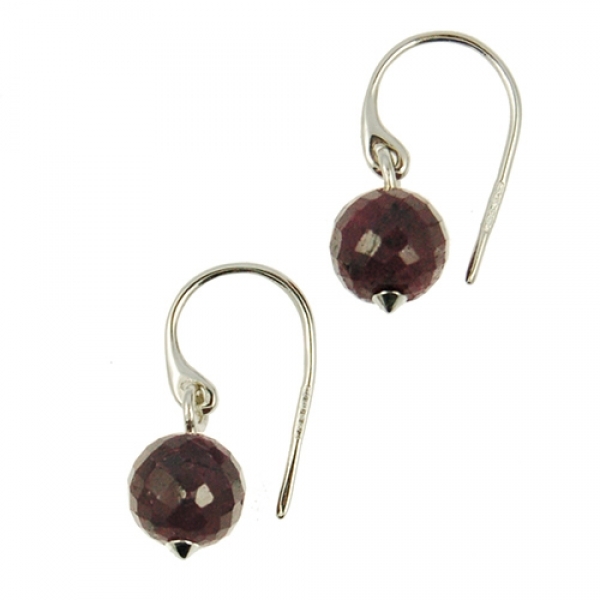 These stunning ruby earrings are a rich colour and are faceted so catch the light brilliantly. They hang on sterling silver hooks. Approx drop: 2cm. Approx stone diameter: 0.8cm. 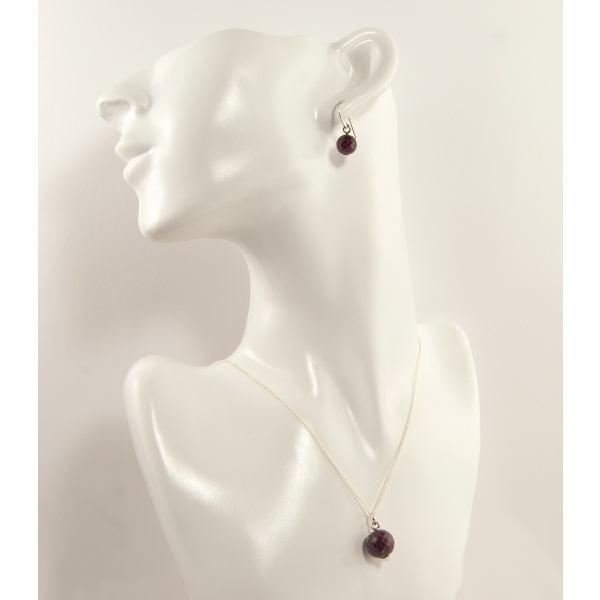 Perfectly striking on their own or match with the Medina Ruby necklace for a perfect set. A gorgeous designer gift idea. Spanish born Monica Vinader works from a converted 16th Century Barn on the North Norfolk Coast of England. Her designs combine 925 Sterling Silver, 24 and 18 karat gold plate with precious and semi-precious gemstones. Her pieces are elegant and timeless. Monica Vinader is quickly becoming one of the hottest names in UK Designer Jewellery. Her jewellery is available throughout prestigious stores internationally.